The main mission of Systems Oriented Design is to build the designers own interpretation and implementation of systems thinking so that systems thinking can fully benefit from design thinking and practice and so that design thinking and practice can fully benefit from systems thinking. 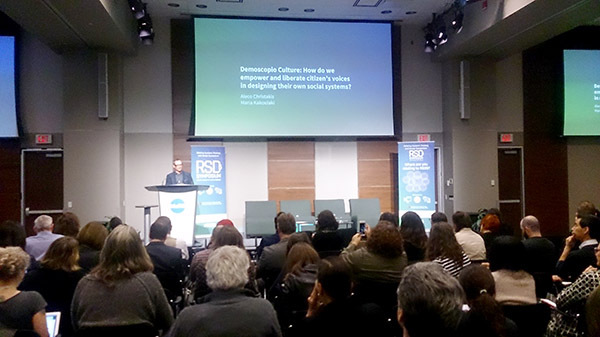 Great opening of the RSD5 Symposium in Toronto OCADU and MaRS Center with Paul Pangero, Alex Christakis, Maria Kakoulaki as keynote speakers. Yesterday Marie Davidova and I facilitated a Gigamapping workshop with about 30 participants. 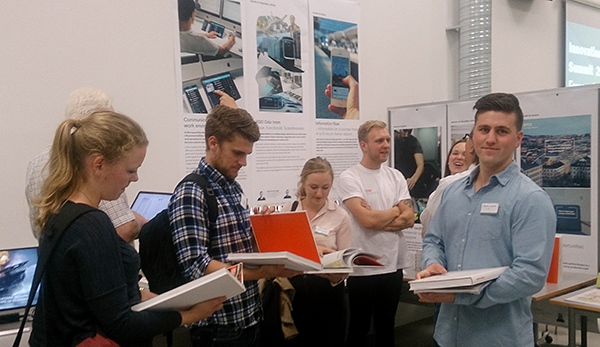 This autumn we started our first Design for Democracy course! We (or let us say the students) are well on their way after a week of boot camp in Tønsberg, a small town south of Oslo. 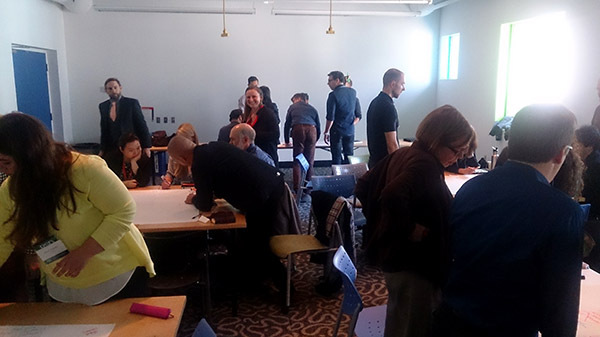 The municipality of Tønsberg is our main partner and the aim of the project is to develop better deliberative processes in the context of city planning. The boot camp also contained a boat trip when moving the boat to the center to function as living quarters for some of the students. Bonding and socializing is part of a living democracy based on dialogue. Great interrest for the AHO / SOD corner of the innovation summit expo at HBV (University College of South East Norway) at their campus in Kongsberg, one of the technological hubs in Norway. The summit was attended by prominent participant from companies, academic, amongst them Larry Leifner from Stanford D-School.